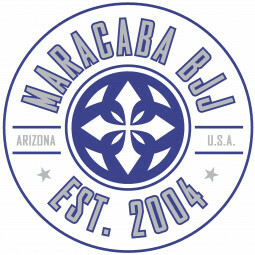 Maracaba BJJ is an elite Jiu-Jitsu program here in Arizona. Coach Andre is well respected within the Jiu-Jitsu commmunity. His program has been and continues to be highly sought after by many. With the opening of his 1st school this summer, July 2017, there has been much excitement. Coach Andre and his team of coaches, Coach Clayton Carpenter and Coach Jake Watson bring forth together a dynamic team. Both Coach Clayton and Coach Jake have been training under Coach Maracaba for the past seven years. Both now Brown Belts under him with many competitive titles in Worlds, Brazilian Nationals, US Nationals, State and many more. Currently both Coach Clayton and Coach Jake are 2017 US National Brown Belt Gold Champions. They too, are well respected in the Jiu-Jitsu community. This team of coaches not only bring their amazing talent to the sport, but a passion and love for teaching. Giving of their knowledge learned, in a patient, yet fun innovative way. It's no wonder that the kids team and the adults team thrives and tops the AZ State competitions continually.